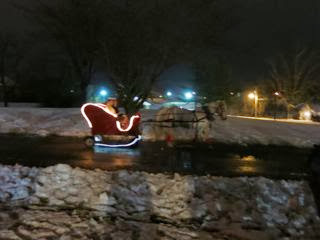 Many residents in our community enjoyed a snowy evening in the Park last night during Our Hometown Christmas. Free hot dogs, cookies, and hot chocolate were served. 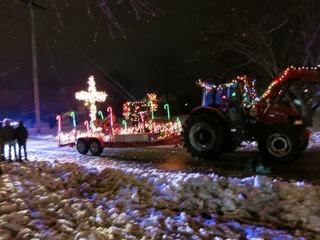 There was a live nativity re-enactment, Christmas music, chestnuts roasting on an open fire, children making snowmen, throwing snowballs, and sledding, people gathered around firepits to warm up, and then all enjoying a Light Parade at the end. 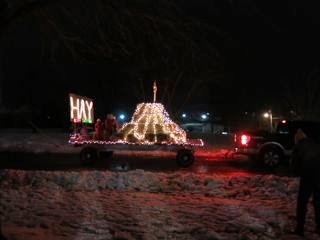 Some people went to lots of work and were very creative with their entries in the Light Parade. 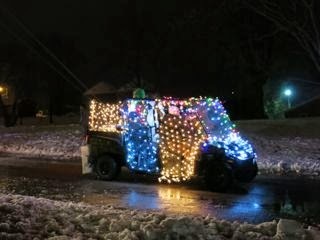 What a fun way to enjoy the Christmas season! 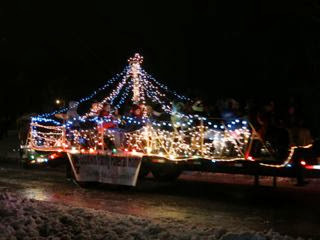 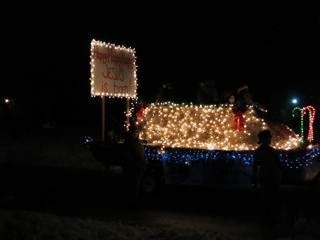 Thank you Martinsville on the Move (& the Firemen's Auxiliary Light Parade) for sponsoring a wonderful family event!